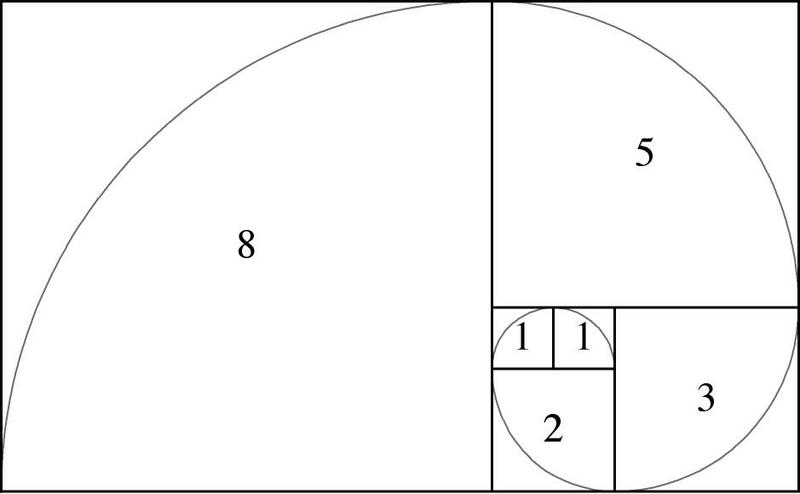 Math Year 2013: Fibonacci numbers and phi, the golden mean. 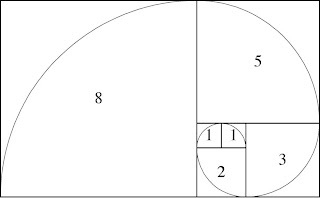 The Fibonacci sequence is created by adding things together, which makes it an arithmetic sequence. In this usage of the word, it is pronounced ar-ith-ME-tic instead of ar-ITH-me-tic. A sequence created by multiplying things together is called a geometric sequence, pronounced exactly as you would expect. For example, the powers of two are geometric. If the Fibonacci sequence was geometric, you would see a clear and simple pattern when you divided a Fibonacci number by the next one in the sequence, but this pattern is neither clear or simple. 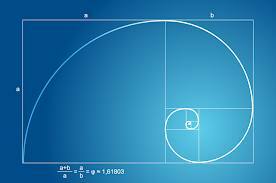 The number phi creates a spiral known as the Golden Spiral. It keeps getting larger by the same ratio and also smaller by the same ratio, a pattern which goes infinitely in either direction, both growing and shrinking. This spiral is based on the Fibonacci sequence. As it gets bigger and more squares with quarter circles are added, it gets to look more and more like the Golden Spiral, but it does not shrink indefinitely, starting with squares of size 1 ×1, 1 ×1, 2 × 2, 3 × 3, 5 × 5, etc. When I teach this method, I call it the Gold Plated Spiral, but that is not a generally used name. 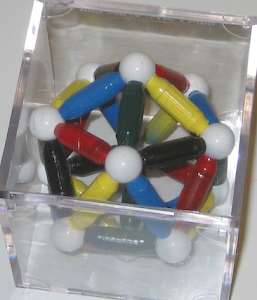 Tomorrow: Perfect squares and sums of odd numbers. Hi, Eddy! Thanks for stopping by. Nice website.